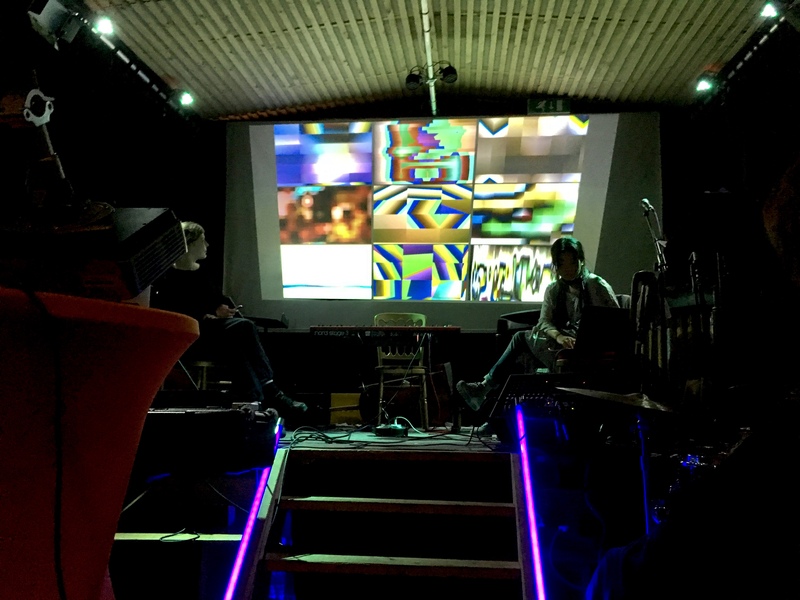 I had participated experimental sound concert The Train that Sailed, organized by NAIP(New Audiences and Innovative Practice Master) program of Prins Claus Conservatoire, during Winter Wel Vaart festival on 21st of December, 2018. This concert was taken place inside a unique theatre boat, Theatreskip Bald’r. Winter Wel Vaart is a vibrant annual festival in Groningen, Netherlands, celebrating winter solstice, with lots of concerts on boats, events and markets along the city center’s canal. Thankfully, I got offer from NAIP people to join their concert ‘The Train that Sailed’. Thus Carmen, a colleague of mine in MADtech, and I participated together with some visuals, installation and performance. Carmen did VJing during the whole concerts for almost 4 hours, and I helped her with some installation and programming. Besides, I made my own piece for the festival, which is ‘Ritual for the Digital World’, using MaxMSP and game controller. The theme of the concert The Train that Sailed was ‘Ritual for winter solstice’. NAIP students made various music pieces and had live performances. All the participants including myself have different cultural backgrounds and came to Groningen from all over the world. So when we had meetings for ideation, I could hear lots of different pagans or ritualistic events about winter solstice being done all around the world. And what interests me was, at this moment we can easily see and find these various rituals via internet and digital media(e.g. youtube). So I wanted to suggest a new way of ritual in this digital era by enjoying(playing and manipulating) exotic cultural rituals dug from digital media. And the way of ceremony could be done by digital media - game controller - as well. By traversing borders, mixing and messing all the video and audio clips of winter solstice rituals around the world, this new ritual could seem like not only celebrating the solstice but also playing a game of children of digital generation. Carmen helpled me performing, Lucija Gregov and Anna Jónsdóttir helped making sound clips.